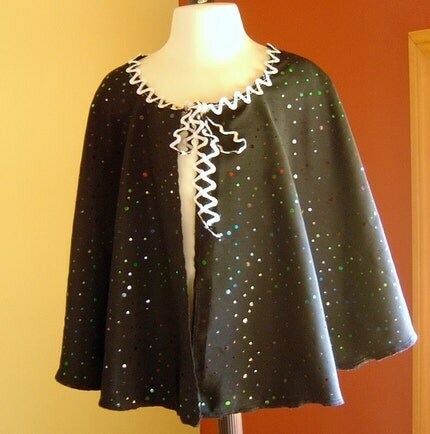 I am very proud of the way this Halloween cape and tote set came out. The material is nice and sturdy and should last through many dress up days. I also added glow in the dark rick rack trim to add to the safety factor on dark autumn nights. I think it is a real winner. Cool - I didn't know you could get glow in the dark ric rac!